proven to aid weight loss. burping, gas, sweating, nausea, headache and rashes. does not reveal the composition of each ingredient that is included in the formula. ingredient. The only quantities mentioned are that of the vitamins. research had been conducted on rats and not humans. the exact quantity of the above ingredients in the supplement. which promotes health, but may not result in weight loss. in weight loss but research is insufficient to prove its weight loss properties. of 5 mg a day which is much lower than what is present in Atro-Phex. oxygen consumption. These claims are not backed by research. is very high. 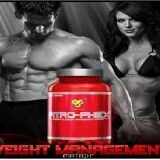 Also, its distributor bodybuilding.com is selling it for $39.99. feel better about spending money on Atro-Phex. for a period of 12 weeks followed by 4 weeks off. oriented. This product is quite costly too. I am on my second day of using Atro-Phex and I have already begun to see results. 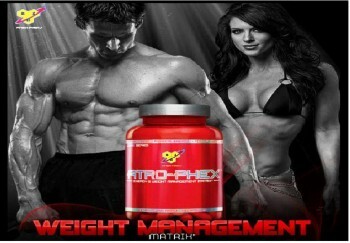 Not only in muscle definition, but in mental focus, appetite suppression, and just overall performance. I tried my first intake of ATRO-PHEX two days ago. I train in MMA and I’m a Krav Maga instructor, so keeping my intensity up as long as possible during training is important to me, so I have to say I’m very disappointed in this product. An hour after the first dose I felt a wave of nausea that soon became a headache–it was so bad I couldn’t even manage my personal training much less train with the team. I thought I caught a bug or something, so I tried to sleep it off. I felt drugged the next morning, yet did not connect the effects with the ATRO-PHEX. I took another dose yesterday morning and this time, when the symptoms hit, there was no doubt of the source (another day of training lost to nausea and headache). The thought of getting an energy boost from this product does not even seem like a remote possibility. I came to this website in hopes of getting an idea of why this is impacting me so badly–I can only surmise that some ingredient in this “mix” just does not work for me. If you try this produce, best of luck to you, if you ask me though, go spend your money somewhere else.